Joan Campbell, Secretary, Minnesota Ballpark Authority: Former Minneapolis City Council member, Joan was first elected in 1990 and served until 2002. She also served on the Minneapolis Central Library Implementation Committee from 2000 to 2006. She served on the Metropolitan Council from 1973 to 1989, during the time that the Metrodome was built. 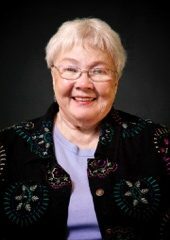 A retired nurse, Joan was employed in various positions at the University of Minnesota Hospitals. Appointed to the Ballpark Authority by the Minneapolis City Council in 2006.